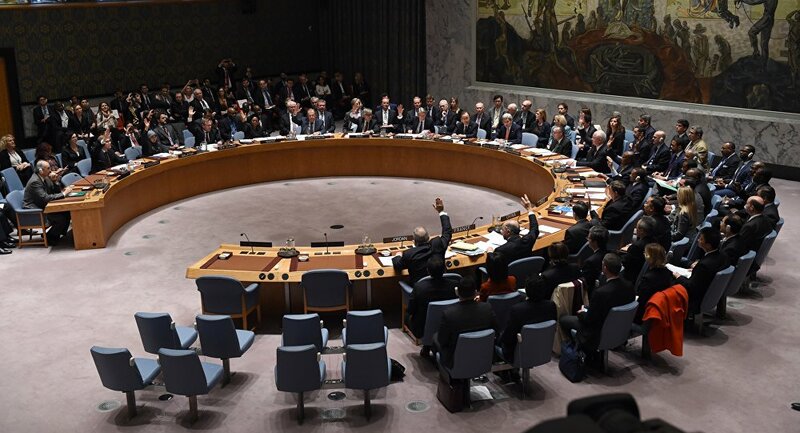 UNITED NATIONS (Sputnik) - The US mission at the UN Security Council has blocked a draft motion on Palestinian peace proposed by Russia, Russian diplomats to the UN said. The draft document sought to reaffirm lack of alternatives to an internationally-recognized solution to the Israeli-Palestinian crisis. "Despite the backing of the Security Council majority, a compromise on the project was rendered impossible by the US removing references to the legal groundwork of the peace plan," the mission tweeted. The initiative was submitted in response to the UN chief’s annual request concerning Palestine. Russia will continue advocating a lasting and comprehensive peace in the Middle East, the mission added. Previous month, the UN General Assembly passed a resolution condemning the excessive use of force by Israeli soldiers against Palestinians in Gaza.